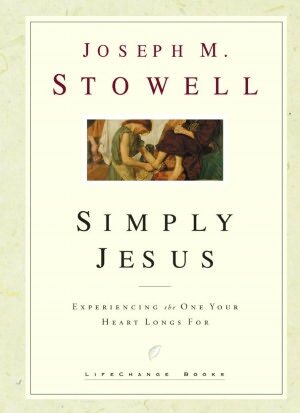 Simply Jesus, by Dr. Joseph M. Stowell, is exactly what the title implies -- a simple, easy-to-read, meditative or devotional style book that points the reader to Jesus. Dr. Stowell writes: "You can be satisfied to just know about Him, or you can enter into an experience with Jesus. Only you can make the choice. And this choice determines the difference between religion as usual or the satisfaction of connecting with Jesus, the One we were created to enjoy." Simply Jesus. What would it mean to fix our attention fully on the Person of Christ? To approach Him apart from systems, formulas, religion, and well-meaning Christian culture? To see Jesus Himself? And how would that change us? Simply Jesus identifies experiences that can awaken the realization of our basic need to focus on Him ... like temptation, trouble, and surrender. A book intended for both spiritual seekers and Christians who are ready for a fresh, personal encounter with the Savior their heart searches for. Numerous books have been written on the topic of having a personal relationship with Jesus, and I doubt that there's any new insight here. But Dr. Stowell has a gift for communicating and teaching biblical truths in a clear, easily understood way that cuts straight to the heart. It is a fairly short read at 96 pages, nine chapters, and would make an excellent resource for daily devotions or times of meditation. Two questions asked by Dr. Stowell get to the heart of this book: "Paul said that it was the throbbing ambition of his life to experience Jesus . . . Is it yours?" and "If you had to choose between Jesus and something precious to you . . . I wonder, would you choose Him?" I enjoyed Simply Jesus and plan to go back over it slowly. This book will mean different things to different people, depending on where they are in their spiritual journey. But I think it would speak to anyone - from seeker, to new Christian, to those more mature in their faith. I can definitely recommend this book. "I never get tired of Jesus. After all these years, I still find Him more compelling, more engaging, more awesome, more surprising, more fulfilling, and more attractive than ever before. I never get tired of singing His praises or of watching Him perform. I find Him to be gripping. Absorbing. Beyond comprehension. And that's why . . . I find myself longing to know Him better." This book was provided by WaterBrook/Multnomah through the Blogging for Books program in exchange for my honest review. Saving Gideon by Amy Lillard is the first book in an Amish romance series set in the fictional town of Clover Ridge, Oklahoma. Ms. Lillard takes lead characters from two seemingly incompatible worlds - Old Order Amish and the English world of a Dallas socialite - on a journey of self discovery and healing. Gideon Fisher wants one thing out of life -- to be left alone. This is not the Amish way, but he’s devastated after the death of his wife and son to the point of losing his faith. He buys a farm on the outskirts of the district and pulls away from his community. But when a freak spring snowstorm brings a beautiful Englisher to his farm, Gideon has no choice but to let her in. I found Saving Gideon to be a thoroughly enjoyable story. Gideon, burdened with grief and guilt over the deaths of his wife and son, withdraws from the Amish community. Avery, upset over the betrayal of her boyfriend, has an accident during a spring snowstorm and is rescued by Gideon. Thus begins a journey of self discovery and healing for both. I don't always find the "Englisher-becoming-Amish" storyline enjoyable, especially when the Englisher is wealthy or has no Amish background, but this book was an exception. The tender romance between Gideon and Avery was developed slowly and with subtle humor. A cute theme was Gideon's growing fondness for Avery's pedigreed Yorkie, Louie V, described by Gideon as "punier than a barn cat." The faith journey theme was also developed slowly and realistically. Avery felt that "Faith was believing that God would take care of the problems they faced. . . . Gideon still had faith. It had been trampled on and nearly taken from him in his grief, but it was still there, shimmering below the surface, just waiting to be rediscovered." Some may find the romance between Gideon and Avery unrealistic, but that didn't make the book any less enjoyable for me. Anyone who enjoys inspirational Amish fiction should like Saving Gideon. There were several interesting secondary characters, such as Gideon's parents and his brother's family, and I hope they will be featured later in the series. Book number two, Katie's Choice, will be published in May 2013. 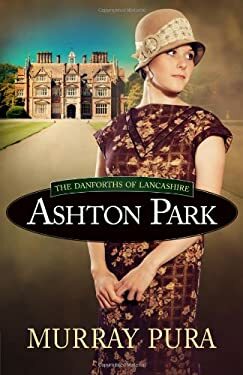 Ashton Park is book one in The Danforths of Lancashire series by Murray Pura. Following in the tradition of the popular PBS series, Downton Abbey, this family saga delves into the lives of William and Elizabeth Danforth, their seven children, and the Ashton Park staff. Spanning the years from 1916 to 1923, Ashton Park follows the upstairs/downstairs characters through the dangers of war and affairs of the heart. Among the green hills and trees of Lancashire, only a few miles from the sea, lies the beautiful and ancient estate of Ashton Park. The year is 1916. The First World War has engulfed Europe and Sir William’s and Lady Elizabeth’s three sons are all in uniform—and their four daughters are involved in various pursuits of the heart and soul. As the head of a strong Church of England family for generations, Sir William insists the Danforth estate hold morning devotions that include both family and staff. However, he is also an MP and away at Westminster in London whenever Parliament is sitting. During his long absences, Lady Elizabeth discreetly spends time in the company of the head cook of the manor, Mrs. Longstaff, who is her best friend and confidante. This friendship includes visits to a small Baptist church in Liverpool that exposes Lady Elizabeth to a less formal approach to Christian worship and preaching than she is used to and which she comes to enjoy. This was a very ambitions book in my opinion, and I'm not sure how successful it was. There were a lot of characters, which I was able to keep straight thanks to a two-page character description at the beginning. There were several interesting themes: World War I, Ireland's struggle for independence, romance outside of class lines, pressure to show loyalty to the Church of England - even an "evil" maid. I liked the British setting and the fact that this is a family saga, but several things seemed to work against its success. The story was told from numerous point of views, which became confusing to me. Scene changes were abrupt, often lacking proper setup. For example, one scene ends with a bombing raid in Dover and the next scene opens ten months later, with no explanation of all that happened. Time lapses weren't always clear. The plot of Danforth children falling in love with commoners was unrealistically repeated and resolved in the same way. And in almost seven years of wartime fighting, no Danforth child was injured. But the main disappointment for me was a lack of character depth. I never connected with the family or staff, never felt I knew them, and therefore couldn't care about them. This first novel might have worked better with less characters and more room for development. I do believe that Murray's writing shows promise, though. Some of the problems I've mentioned may be due to the fact that I was reading a pre-publication manuscript. Hopefully, the final edition will be much more polished. In spite of these shortcomings, I was hooked on the storyline throughout. While I liked certain aspects of this novel, I didn't find it to be a satisfying read overall. Readers who enjoy British historical fiction might find it interesting, though. The next book in this series, Beneath the Dover Sky, releases in August 2013. This book was provided by Harvest House through NetGalley in exchange for my honest review. After her husband, Shep, loses his latest job, Jennie Davis is grateful to be in a car en route to beautiful Lancaster County, Pennsylvania, where Shep inherited a house and bicycle shop from a distant cousin. The move gives Jennie, Shep, and their two children a welcome chance for a fresh start. Jennie carefully restores their broken-down house, but yearns to find some fulfillment outside of her family—particularly as they struggle financially. On morning walks, she forges a friendship with her Amish neighbor, Mattie Fisher, who opens up about her modest way of life. Mattie’s unswerving good character in the face of adversity encourages Jennie to seek practical solutions to her own difficulties. Jennie’s newfound purpose soon collides with Shep’s growing stress at work and long-simmering tensions between husband and wife rise to the surface. As the holiday season approaches, their family is challenged as never before—until an unexpected visitor arrives to give Jennie the greatest gift of all. This was an enjoyable read overall. Cynthia has a good writing style and my interest was held throughout. An Amish Gift is a character-driven story that spans a little over a year, including two Christmas seasons. Jennie sees the tensions within her family, but doesn't know what to do. She "had come to view a family as people tied together by blood rather than love . . . bound by obligation, no one willing to open up or ask anyone else to help with their dreams or even their needs. . . . Human connection was the most important thing, and it was missing even within her own household." Jennie's growing friendship with Mattie, her Amish neighbor, has a strong impact on her whole family. An Amish Gift is different from most Amish fiction that I've read, probably because it's published by an ABA publisher. And since the book is primarily about the Davis family, I really wouldn't categorize it as Amish fiction. The main negative for me is that the healing within Jennie's family seems to come out of their friendship with an Amish family, rather than through their faith in God. As the Davis family grew closer to each other, I would like to have seen them grow closer to God also. 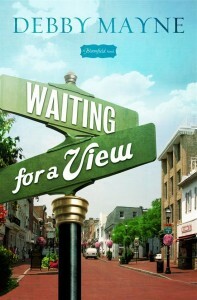 Waiting for a View by Debby Mayne is the first book (novella) in what promises to be a delightful series set in the fictional town of Bloomfield. The Bloomfield series depicts a small town where life is simple, love is real, and stories are shared. These books are written by different authors - Debby Mayne, Gail Sattler, Kathi Macias, Martha Rogers, Trish Perry, Jenness Walker, Tracy Bowen, and Miralee Ferrell - and will be released in various formats every few months. Sherry Butler, manager of the local card shop and Vice President of the Garden Club, lives in the family home left by her parents. Seemingly content in her "comfort zone," she resists the not-so-gentle nudging of family friend, Naomi, to step out. Brad Henderson, an admirer from the past, works with Sherry and her Garden Club committee in building a playground for the community, while seeking to know her better. With Naomi's encouragement, Sherry finally decides to put her house on the market and her name on the waiting list for a nice apartment with a view of the lake. Waiting for a View introduces us to the quaint town of Bloomfield and some of its quirky, yet endearing characters. Debby brings in some great humor when Sherry looks after Murray the Parrot while his owner travels, and I hope we see more of Murray in future books. It is also refreshing to see two major characters who are older - Sherry at 40 and Naomi almost 80. Naomi is a mother figure to Sherry, and their relationship is one of my favorite parts. "Naomi's mission: Fix anything broken and tweak what wasn't. The question in Sherry's mind was whether she was a fix or a tweak." This is a light story - no complexity, suspense or adventure here. Waiting for a View is about a town desiring to reach 10,000 in population, yet striving to maintain its small-town closeness as more development comes in. Taking this novella for what it is, I found it enjoyable. I'm hoping we will see more of this story's main characters and that some of the lesser characters will have their time in future books. This book was provided by B&H Books through NetGalley in exchange for my honest review. In the Land of Blue Burqas by Kate McCord (not her real name) is a collection of vignettes tethered together by the real danger that Muslim women face in Afghanistan. Kate is a single female missionary who worked for an NGO (non-governmental organization) in Afghanistan for five years, with the goal of helping Afghani women. Afghanistan has been called “the most dangerous place to be born a woman.” Kate McCord decided to live in Afghanistan, visiting women in their homes and getting to know those who usually remained hidden behind their blue burqas. She listened to their stories and lived among them. And in the midst of all of that, she found Kingdom responses to the beliefs Afghani Muslims hold to be true. My attention was immediately caught as the book opened with a tense scene of Kate riding in a rickshaw with two Muslim mullahs, who attempt to convert her on the spot. As she diplomatically but firmly declines to convert, her physical safety becomes at risk. "You should become a Muslim. It would be better for you in this life and the next." Faith is foundational to the culture in Afghanistan, but I was surprised at how eager and willing the women were to talk. Faith "motivates and defines virtually every aspect of Afghan life, so we talk about it, often." But the greatest topic of conversation is different for men and women. Kate writes: "For men, the most interesting conversation is about government and war. For women, the first most interesting conversation is marriage and family. But the second great conversation is always about our faith and our practice." There is so much rich material in this book. I liked the way Kate was able to convey her Christian faith by connecting to beliefs held in common: Adam and Eve, Abraham, Moses, the Honorable Prophet Jesus, etc. In one chapter, she plans a party for the women, wanting to tell them that God loves them - for in Islam, "there are ninety-nine names for God, but none is 'love.'" In the last chapter, Kate sums up the theme of this book as she writes: "We foreign aid workers, doctors, and educators who move into their communities shatter the stereotypes many Afghans have been taught to believe. We non-Muslims are supposed to be evil, and yet we cradle their dying children in our arms. We make arrangements for their sick to get medical care. We feed their widows and orphans. We give blankets against the cold, and in hundreds of other ways we demonstrate a different way to live. We tell a different story." Kate writes in a simple, easy to follow, heartfelt style, giving great insight into a little-understood world. I highly recommend this book to anyone interested in knowing more about Afghani women and the role fundamental Islamic beliefs play in their daily lives. This book was provided by Moody Publishers through NetGalley in exchange for my honest review. Pennsylvania in the late 18th century, once called William Penn’s Woods, was an assortment of different faiths living together for the first time in American history. Included in this tapestry was a small and struggling population called Amish. Surrounding this peaceful people were unavoidable threats: both Patriots and the British were pillaging land and goods for the sake of the war, young Amish men were leaving the faith to take up arms and defend freedom. Adam Wyse is fighting a personal battle. To possibly enlist in the revolution and leave his faith, which would mean walking away from the only woman he’s ever loved: Lena Yoder. But for that love he’s made a promise that may keep them apart permanently. When Adam withdraws from Lena, she’s forced to turn to his brother, Isaac, for support. Arms of Love by Kelly Long, book one in the Amish Beginnings series, opens during the spring of 1777 - Lancaster, Pennsylvania - during a time of American turmoil and with Amish life being much different than today. This book presents a well-researched glimpse into the life of a small, peace-keeping Amish population. While themes such as domestic violence, PTSD, death, and religious intolerance give a dark feel at times, the book's overarching theme is that "God is for us" - and forgiveness/restoration play a major part in a conclusion filled with hope. Questions for group discussion and a four-week Bible study are included at the end. A unique quality of Kelly's writing is her ability to bring out raw emotion and passion in her characters. It is refreshing to see a couple's longing and desire for each other expressed in a godly way. An Amish bishop and a British POW were strong secondary characters who contributed greatly to the story. I also grew to like Adam's brother, Isaac, as his character changed and I'd love to see a future novel devoted to his story. The only negatives for me are that the plot moved slowly at times and character growth seemed sudden rather than gradual. And while I often complain of abrupt endings, this ending was way too long, with the addition of more action after the conflict resolution. While Arms of Love was a good novel overall and I will continue to read Kelly's books, I didn't enjoy this one as much as her other books. However, I think anyone who enjoys Amish fiction would like this book. This book was provided by Thomas Nelson through the BookSneeze program in exchange for my honest review. Love in Three-Quarter Time by Dina Sleiman explores the world of 1817 Virginia. In her historical notes, Dina describes heroine Constance as "Scarlett O'Hara meets Jane Austen" and the novel as a fusion of Southern plantation, frontier, Native American, and Regency cultures. Another facet of Dina's writing is that, having served as a dance choreographer and director for sixteen years, she beautifully incorporates the theme of dance, especially as an expression of worship. When the belle of the ball falls into genteel poverty, the fiery Constance Cavendish must teach the dances she once loved in order to help her family survive. The opportunity of a lifetime might await her in the frontier town of Charlottesville, but the position will require her to instruct the sisters of the plantation owner who jilted her when she needed him most. As Robert Montgomery and Constance make discoveries about one another, their renewed faith in God helps them to face their past and the guilt that threatens to destroy them. Love in Three-Quarter Time is a fairly light romantic novel. It is well-researched and brings in historical aspects such as the home of President Thomas Jefferson in Monticello, his daughter Patsy Randolph, and the American introduction of a popular European "scandalous" dance known as the waltz. The theme of abolition plays a major role in this story, as both Robert and Constance work toward this cause. Robert expresses his desire to his neighbor, Terrence: "With corn in the summer and wheat in the winter, I estimate I can produce double the crops with half the labor. If it works, perhaps others will attempt it and let their slaves go free." The main negative for me is that at times the narrative failed to hold my interest and I was tempted to skip over some sections. The writing just didn't have that special spark that makes a great book flow and causes you want to read every word. It was still a solid novel, however, and I expect Dina's ability as a writer will only improve. There were enough likeable secondary characters for a sequel to be developed. 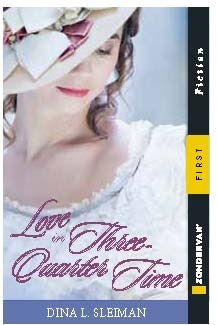 I recommend Love in Three-Quarter Time to those who enjoy romantic historical fiction with Christian themes. This book was provided by Zondervan through NetGalley in exchange for my honest review.